Putting some teeth into videogames. Last weekend we participated in Ludum Dare 27. This Ludum Dare was really crazy for us. This was our first competition as an independent game studio and we decided to team up with genius artist Fernando Martínez Ruppel (yeah, the same guy that made the awesome concept art for Galaxel). After some crazy brainstorming on Friday when theme was revealed, we came up with a really simple idea (but ambitious in scope for a game made in 72 hours!). Note: you can play Antarctic Glitch clicking in this awesome poster! Basically, our idea was to change the playable character every 10 seconds. In order to make it work (and also be relevant! ), we will be designing five (!) different versions of our lead character. We want to make a brawler (yeah, beat’em up). But do to timeframe constraints, we thought about an ‘infinite brawler’ variation with a highscore scheme (we used Dreamlo, you should check it!). We made it really simple. Left + Right + Up + Z + X (two different actions for each character). With these rules set, we started working on the story. We are all sci-fi and fantasy fans, so we decided to build a background story around all this ‘every 10 seconds the playable character changes’ principle. We worked with different concepts such as glitches, paralell worlds and quantum mechanics. And Antarctica. Antarctica is an awesome place in the world, so why not? 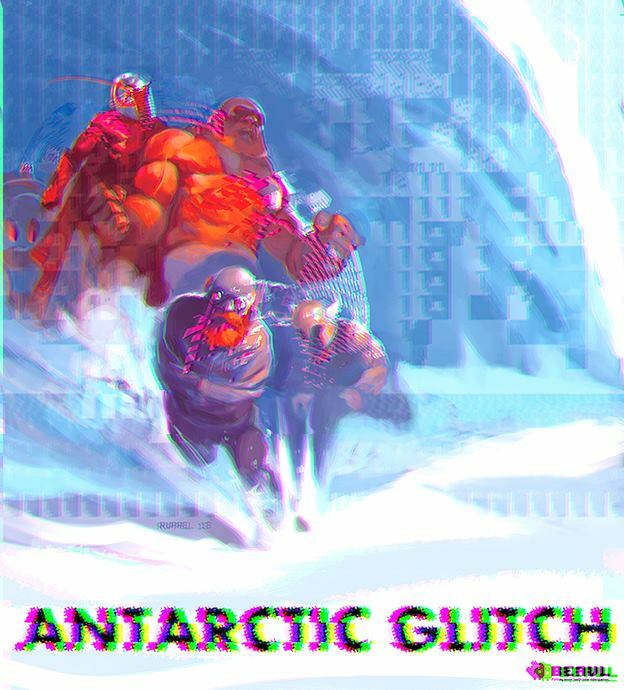 We called our game Antarctic Glitch. 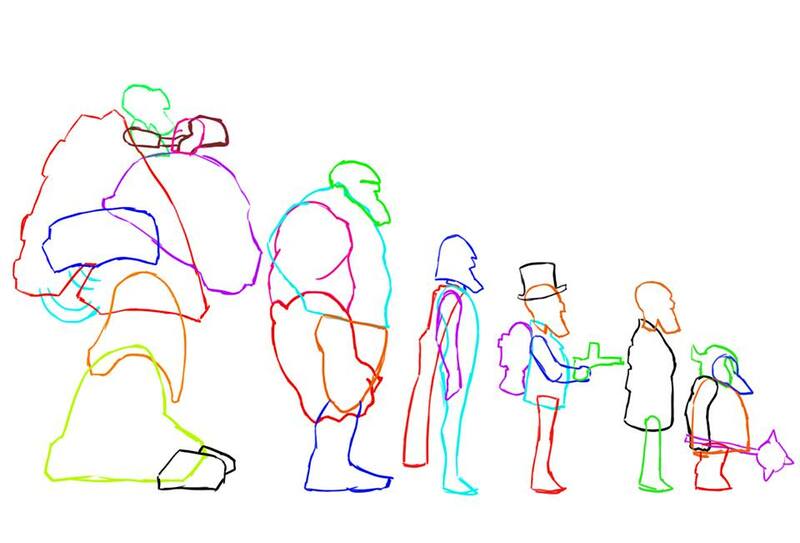 Note: These following images are from the game intro. You should check it out! So, we worked on our lead character, a bearded doc. 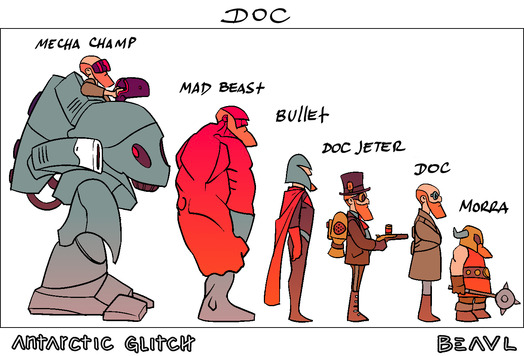 This doc would have five different versions from five parallel worlds: a mecha, a beast, a superhero, a steampunk doc and a battle dwarf. 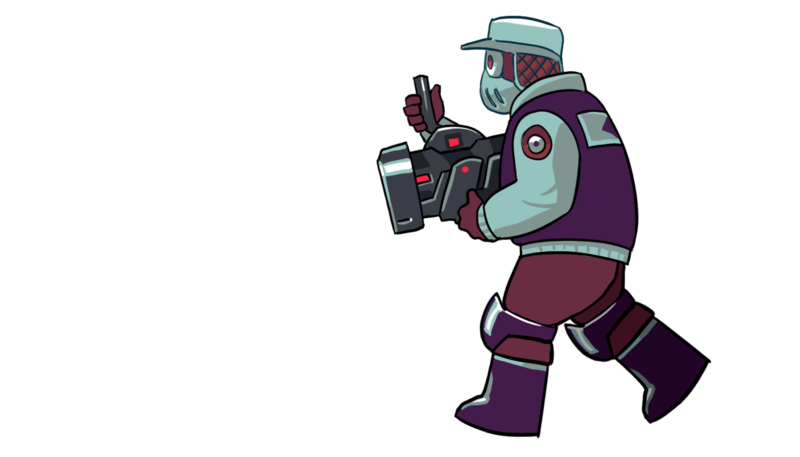 After deciding on all the different docs and on every action for each one (remember, we would use a two-action model), we started working on the animations (action one, action two, damage, jump, walk, standby). Lots of work ahead! Two types. 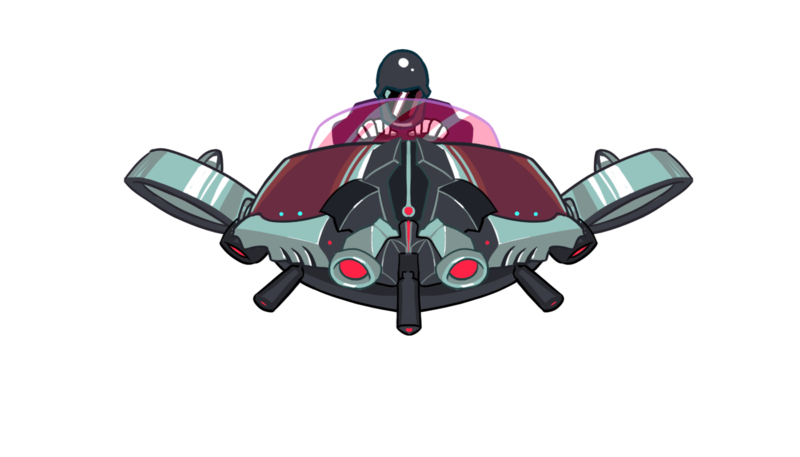 Land and flying enemies. South Magnetic Pole. Land of mysteries. Antarctica is awesome. And for an infinite brawler, we made a nice Antarctic background that loops. While working on our #7dfps entry, we came across with some great sound FX made by @Jordinewcastle & @Fin_Send. We used some of them. Music was composed by Ruppel. We love the glitchy feeling of it! Unity is our best friend. This was our first 2D game with this framework and all went really smooth. - Visual feedback when shooting. - Some sound FX are out of sync. - Balancing the gameplay (there is one exploit to be found, and if you find it, you can top our ranking!). We love our character and the complex universe we created. 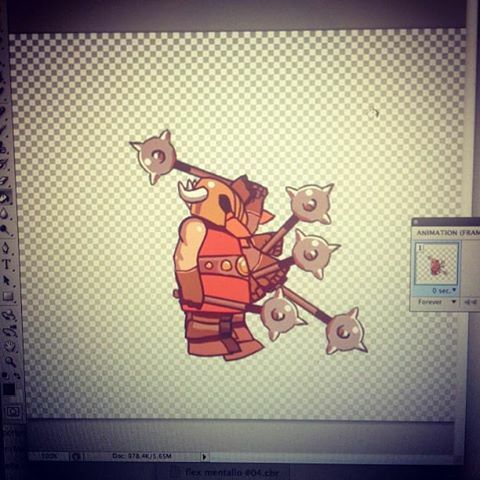 So we are thinking on developing the game a little further (mobile version anyone?) and who knows, making a comic maybe. What do you think? Would you like to read it? Cheers! Nice concept and design! 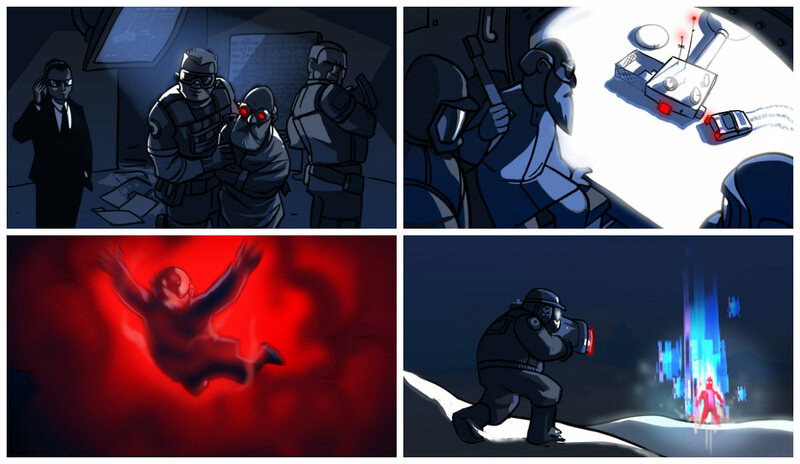 Was the animation done in Photoshop? Thanks! And yeah! Concerning animation, Ruppel worked every frame on Photoshop and exported the files as PNGs. Cheers! Beavl is an independent two man studio from Argentina putting some teeth into videogames.